Write Bloody Publishing, 9781938912016, 222pp. You do not want to write good poems. You want to write great poems. You want to write poems that challenge, inspire and awe. You want to write poems that forever alter your audience, that forever alter yourself. Those poems take guts. 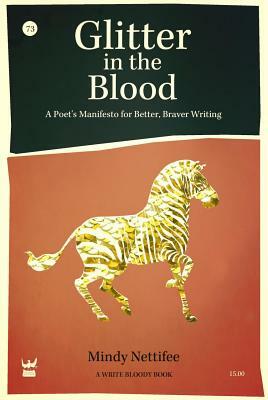 Glitter in the Blood: A Poet's Manifesto to Better, Braver Writing will put you in constant contact with your guts. Pushcart prize nominated and highly accomplished performance poet Mindy Nettifee is not going to lead you step-by-step up a how-to staircase. With this collection of essays, prompts and exercises, Mindy is giving you the wrench you need to open up the blood and let it flow into your writing.